Earlier today, the Ethereum price temporarily fell to $13 on GDAX, a high performance trading platform operated by Coinbase. According to former forex trader and cryptocurrency analyst Cole Garner, low orders in the range of $13 to $60 were actually filled on the platform. Garner published screenshots of GDAX that showed successfully filed orders at $55 and $65. As of December 7, the price of Ethereum (ETH) remains at $85 and at the lowest point of the day, ETH dropped to $83. At $55 and $65, Garner was able to purchase ETH at a rate that is 36 percent lower than the current price of ETH. Most flash crashes occur due to mistyped or misfiled trading orders at low prices. On exchanges, investors can easily make a mistake in entering a wrong figure for a buy or a sell order. For instance, a potential Ethereum buyer may have wanted to file a buy order at $13 to purchase the digital asset at the lowest support level possible, but engaged in a careless mistake and filed a sell order at $13 instead. It is entirely possible that one individual trader intended to file a buy order at $13 seeing a strong support level in the range of $13 to $14, as several technical analysts have suggested throughout the past week, and mistakenly filed a sell order at the low level. Even on major stock markets like the New York Stock Exchange (NYSE) and Nasdaq, flash crashes occur quite regularly and because algorithms and bot trading dominate most markets, technical glitches cannot be avoided. 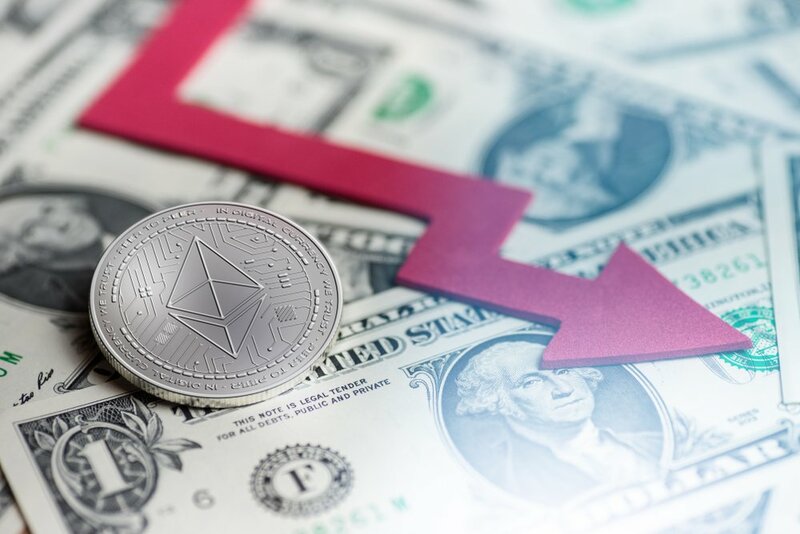 The sudden crash of Ethereum to $13 was a flash crash because a similar movement did not occur in other markets like Europe and South Korea, and the Coinbase ETH-to-USD market recovered almost instantly after the initial crash. In June, Coinbase experienced a flash crash on its platform with Ethereum. Similar to the flash crash that occured on December 7, at the time, the price of ETH temporarily fell from $322 to $0.1. Given the discrepancy between the average price and the price that was achieved during the flash crash, Coinbase decided to reimburse traders affected by it. “We will establish a process to credit customer accounts which experienced a margin call or stop loss order executed on the GDAX ETH-USD order book as a direct result of the rapid price movement at 12.30pm PT on June 21, 2017. This process will allow affected customers to restore the value of their ETH-USD account to the equivalent value of their ETH-USD account at the moment prior to the rapid price movement,” Coinbase said on June 26. It remains unclear whether Coinbase will reimburse traders that lost out on the flash crash but if the company finds that an error on the side of the user led to the flash crash, then it is likely that reimbursements will not be made.